Anthony House Antiques – Beautiful antique furniture, glass and ceramics. Beautiful antique furniture, glass and ceramics. 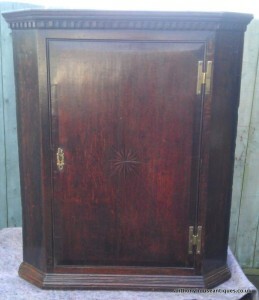 A beautiful oak corner cupboard from the third quarter of the 18th century. 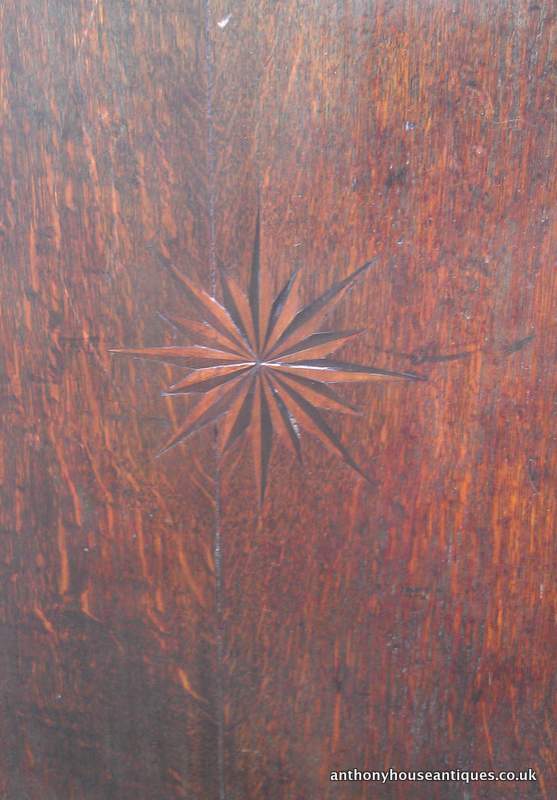 It has a very pretty shaped interior, a beautiful inlaid star on the door and the back clearly shows the marks of the adze used to make it. 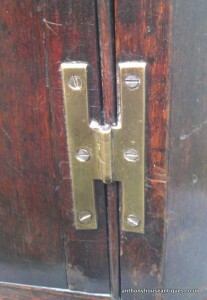 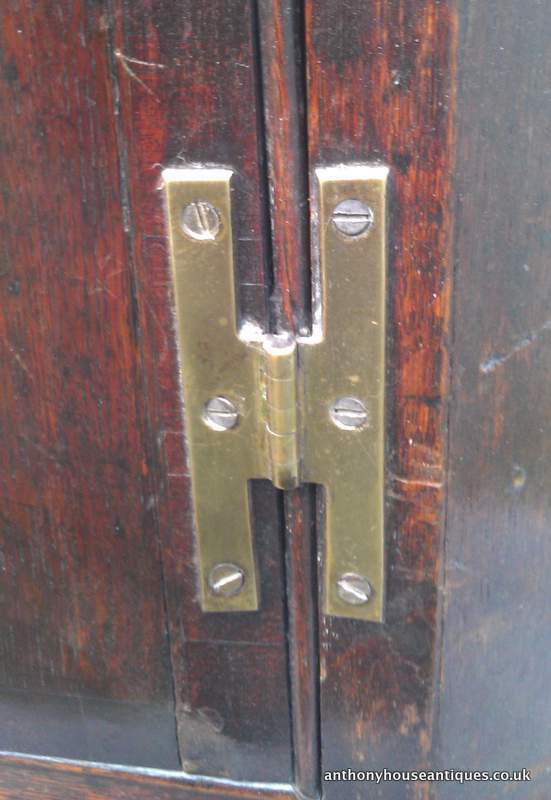 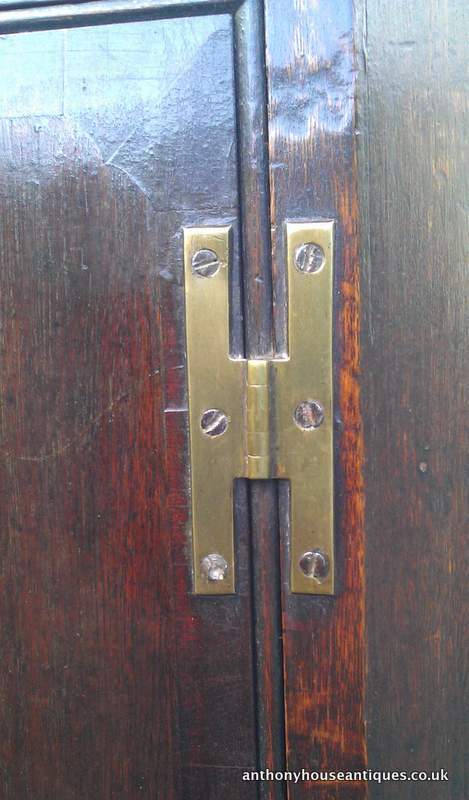 The hinges are original and in good condition. 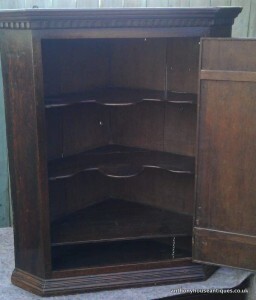 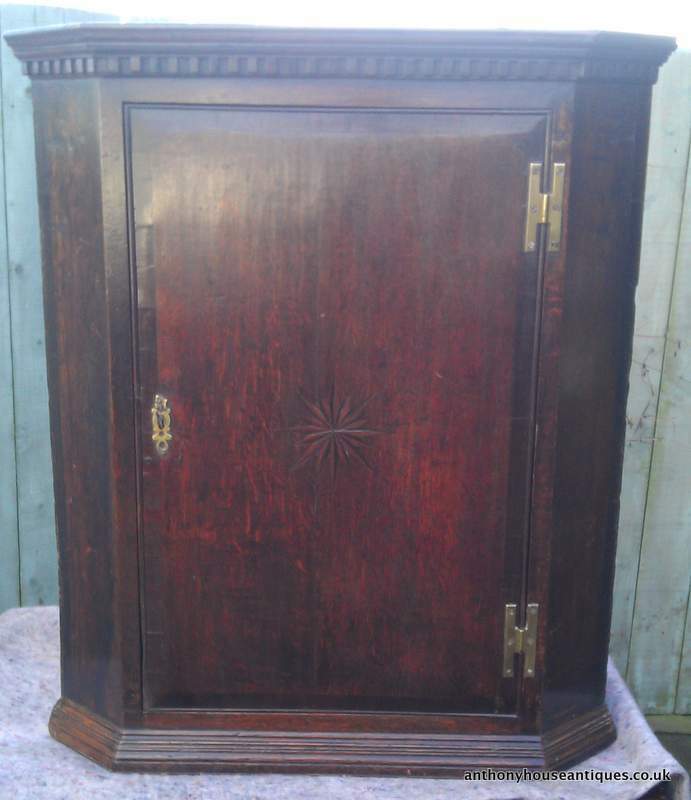 A very fine corner cupboard. 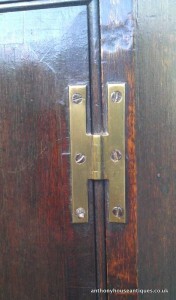 This is the lower hinge. 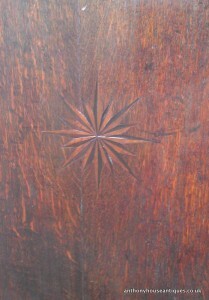 Here’s the inlaid star on the door. 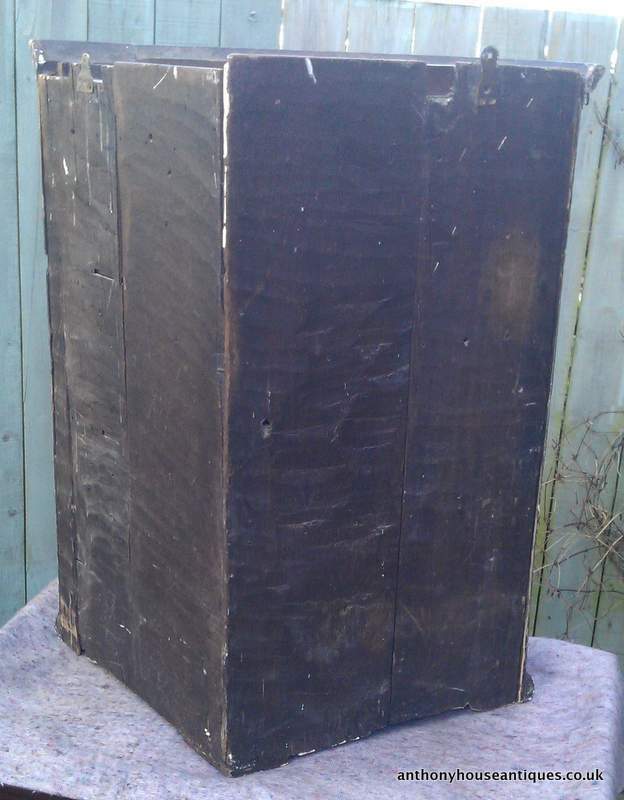 These two pictures of the back clearly show the adze and hand plane marks made during its manufacture. 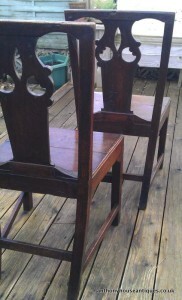 Six lovely early oak dining chairs. 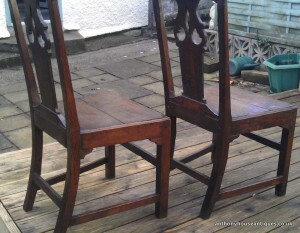 Two from a set of six late 18th-century oak dining chairs with fretted splats and Chippendale style legs and stretchers. 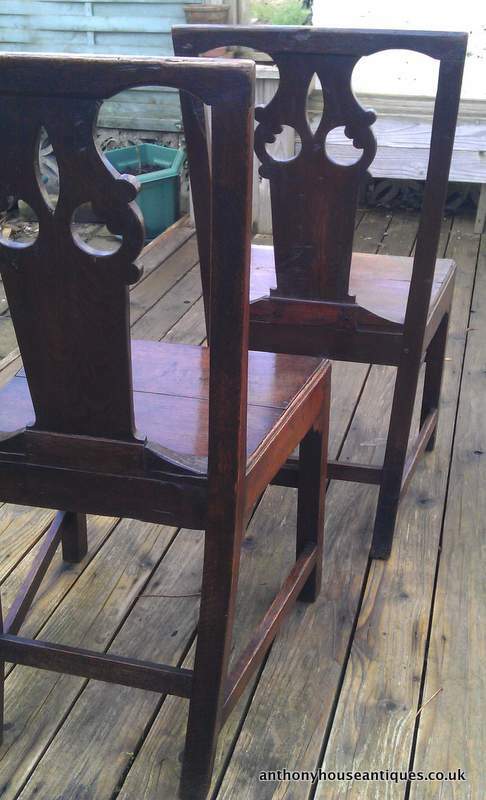 It’s very unusual to find a set of six of this age. 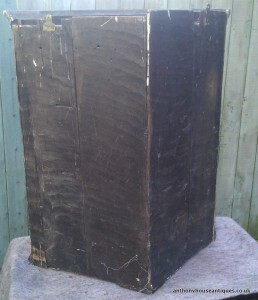 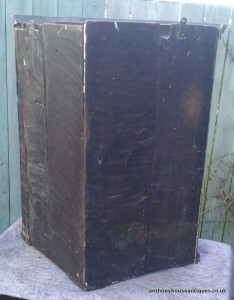 They’re oak, very heavy and show all the tell-tale signs of being Welsh. 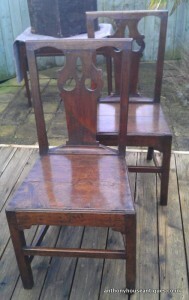 Now restored and gone to a new home. 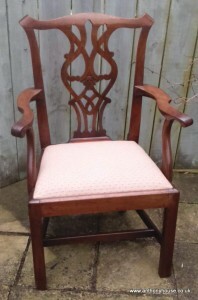 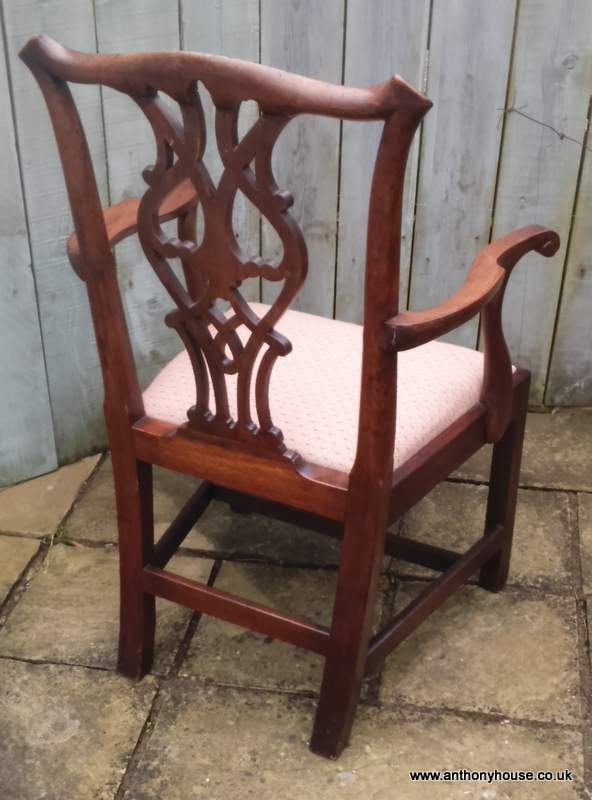 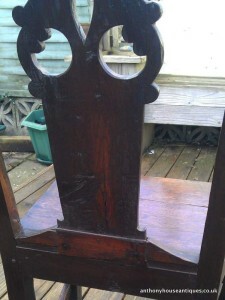 A very fine 18th century Chippendale style chair! 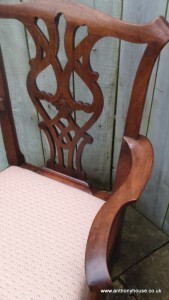 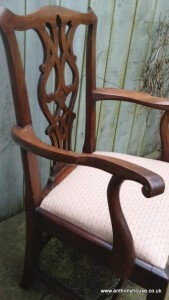 An open arm walnut chair with a lovely generous shape. Now gone to a new home.